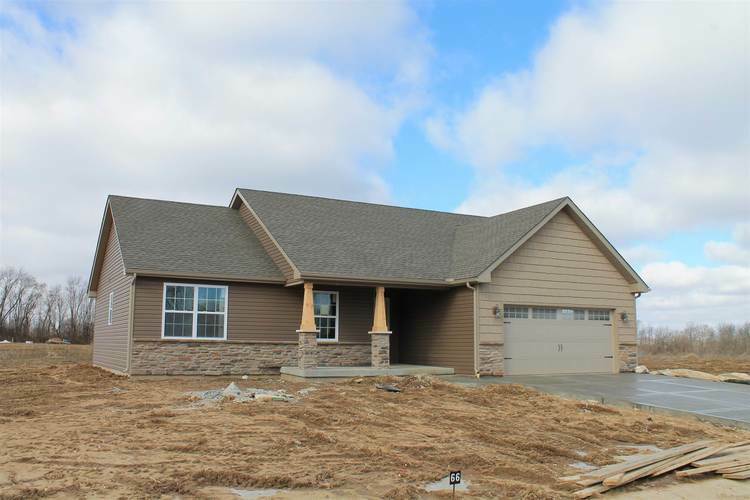 New construction completed and ready for you to move in as soon as you can close. Open concept floorplan with extra large kitchen and abundance of upgraded cabinets featuring soft close and granite counter tops. Cozy up to the gas log fireplace on cool winter days. Spacious great room designed for your furniture. Master suite features giant walk-in closet and master bath with oversize walk-in shower. Located in Diamond Ridge subdivision. On the edge of town yet close to everything you want to do.